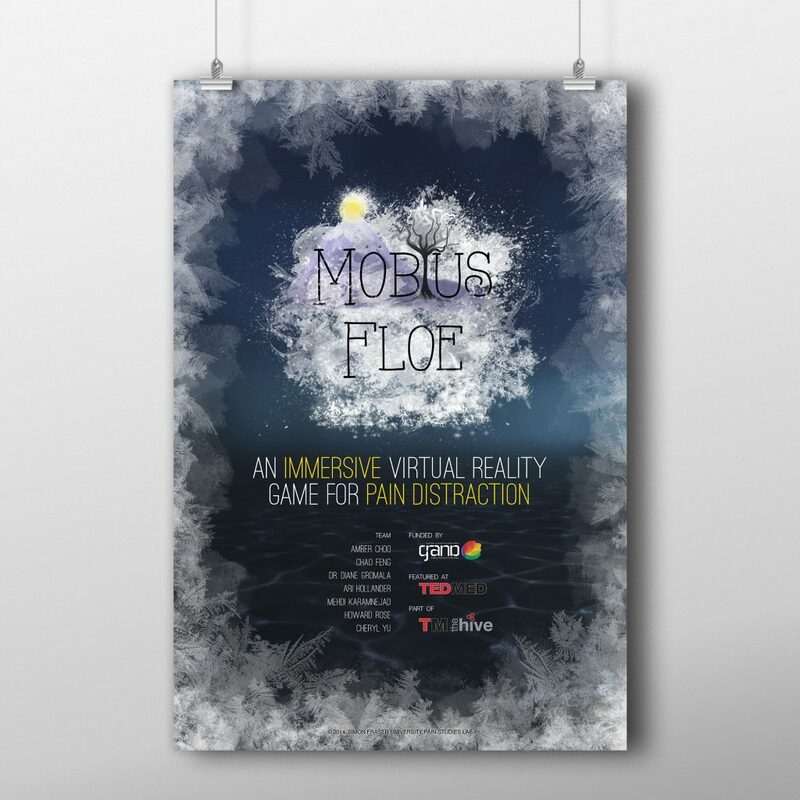 A promotional poster for SFU Pain Studies Lab's VR game Möbius Floe. I wanted to keep the poster simple, mainly focusing on the Möbius Floe logo and header. The background is taken from the underwater scene from the game (not included in Phase 1) to create a backdrop that is simple, yet clean and still involves depth. Additionally, the dark background makes the logo pop. The frost edges represent the icy/snowy world of Möbius Floe that also stands as a metaphor for pain. The idea is that the ice creeps in and somewhat “builds up” if nothing is done about the pain.